Lessons are offered to students of all ages, including all levels (beginner through advanced). Lessons are taught by owner and trainer, Kristen Cuneo. Lessons include grooming, tacking, horse care, and riding. Each lesson is geared towards the horse and rider’s individual needs to allow for an effective and fun experience in a safe, family oriented environment. Whether you want to take a victory pass at Nationals, or just have a recreational, fun and relaxing time, Kristen and Kingswood can offer you just that. 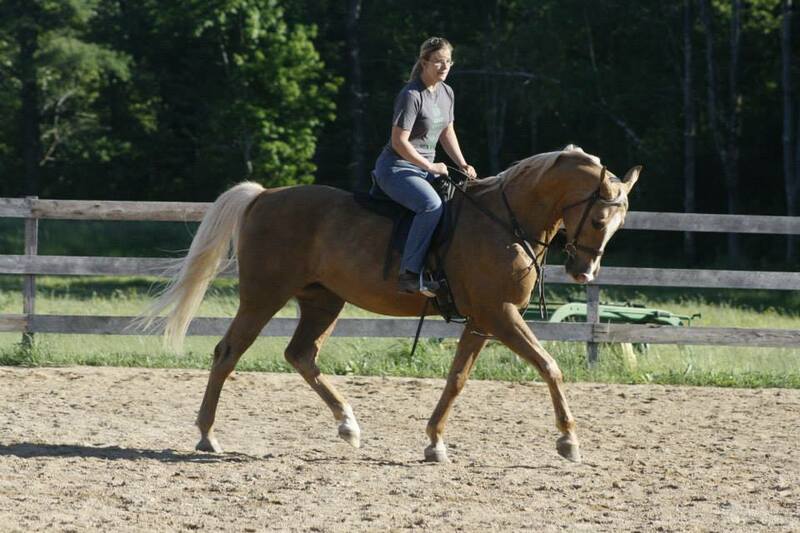 Saddle Seat, Hunt Seat, Western, and Equitation lessons are offered. Lessons are 1 hour in length. Group and private lessons are both available. Proper riding attire is required.